Never Again! 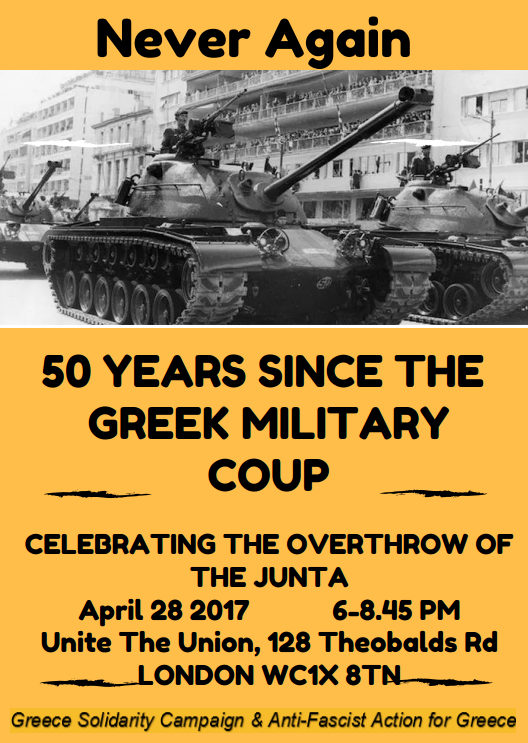 Marking 50 years since the Military Coup in Greece & Celebrating its Overthrow. Friday 28th April at 6pm at Unite the Union (Diskus Room), Holborn, London.